This customer is a global leader in the development and production of systems for the defense and commercial markets. They supply advanced solutions for a broad range of requirements in varied fields. 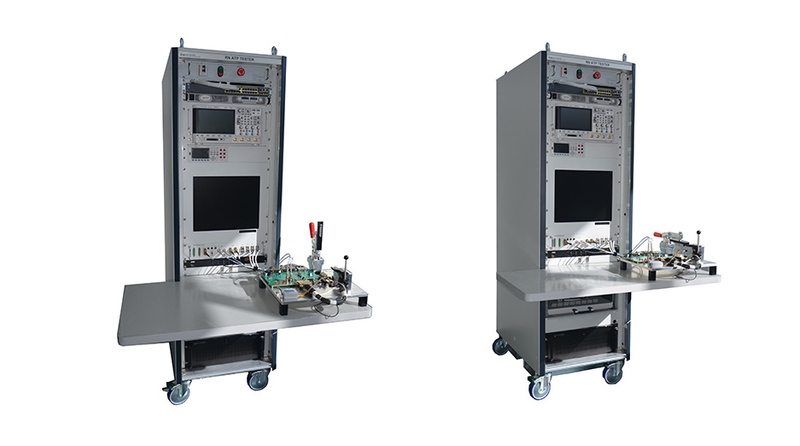 Every project has a test equipment aspect that is supplied to the end user. Following a long selection process, Alexander Schneider were chosen to design and manufacture a test system that will allow the user to test a rather unique electronic card while eliminating the risk of human error that can destroy the expensive card. Mechanical, electrical and connectivity design. Develop the BIT (Built In Test) software. A mechanical design of “slides” that enabled the user to slide in the electronic card into its mating equipment without damage to its many fragile pins. Develop an electronic board for the system test. Purchasing and supply chain management. FAI (First Article Inspection) according to AS9102. The need to know and understand the intricacies of the customer’s unique equipment. Frequent changes in the card design made the spec a “moving target”. Utilizing the professional team’s advanced engineering capabilities, flexibility and extensive project management experience, Alexander Schneider delivered the project on time and to the customer’s full satisfaction.